Nuna MIXX2 - EcoBaby Gear, Inc. Introducing MIXX2 - it is ready as ever for the stroll ahead, and with a look that is sleek as its design. Dutch designed actually. 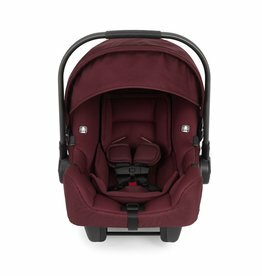 The MIXX2 comes with premium fabrics, leather-look accents (vegan) and chrome wheels (to list a few), every little luxe upgrade in the Nuna staple is sure to make heads turn. This newest version on the MIXX2 creates Happy strolling in Chic style. Great Features: * compact, flat fold options * true flat sleeper recline seat * oversized, extended canopy * chrome black wheels * luxe hand-sewn leather-look arm (vegan) and push bars * large storage basket *mesh peek-a-boo window pairs perfectly with the PIPA car seat and the MIXX2 bassinet. Come in to our store and test drive soon!